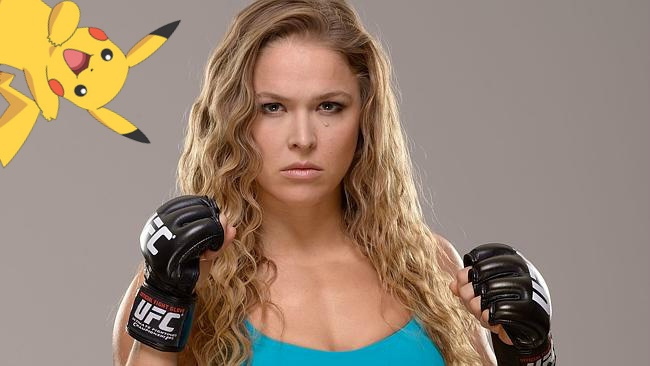 The Olympic medal-winning martial artist in Judo and UFC Women's Batnamweight Champion Ronda Rousey – also known for her roles in blockbuster movies such as Furious 7 – is arguably the most famous female athlete on the planet right now. So how exactly does one achieve such greatness? By dressing up as a Pikachu, of course. The former moderator of a Pokémon forum at the age of 16 channelled the yellow electric rodent as a part of her latest guest hosting stint on the ESPN show, SportsCenter. Not only is Rousey the first UFC or MMA fighter to take on this role, but she is also the first female athlete to ever host the show. Take a look at the video of the successful athlete in action as Pikachu below. I like that she's a big games fan, you rarely hear athletes, or celebs in general talk about video games - apart from footballers that only seem to talk about FIFA. Gotta beat 'em all. She's so legit on so many levels. @antdickens Not too rare at least. Hope the Pokemon Company won't sue her. Why there is recap? Watching same things twice reminds me of watching teletubies. Heads up Nintendo, she is helping your brand. Please do not have the video pulled, and please do not sue. Please! This is from ESPN, folks. I'm sure they asked and received permission before doing this. Also: Rousey uses Quick Attack. 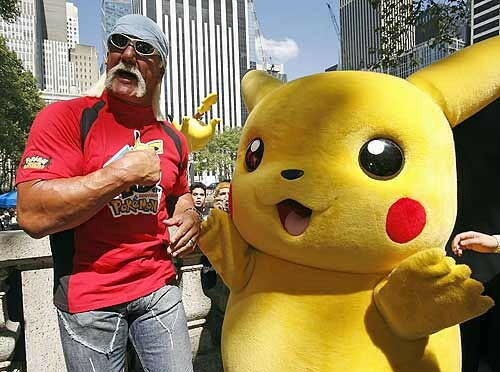 @RupeeClock I don't get it, why did you upload a picture of just a big Pikachu (people who keep up with WWE today will understand the joke). Ok, I thought this was going to be lame till I seen it was a Sports Center video. Love those video shorts they do. Very creative. However weird the video was it had a funny ending! Hmm, never knew pikachu was a fighting type. So she was a moderator for a Pokémon forum and now a UFC champion. Now I know what happen to @theblackdragon she's training for the UFC. OMG, how random, I love it! She forgot the Lucha costume! We all know this is a trailer for Pokken...wait its not?